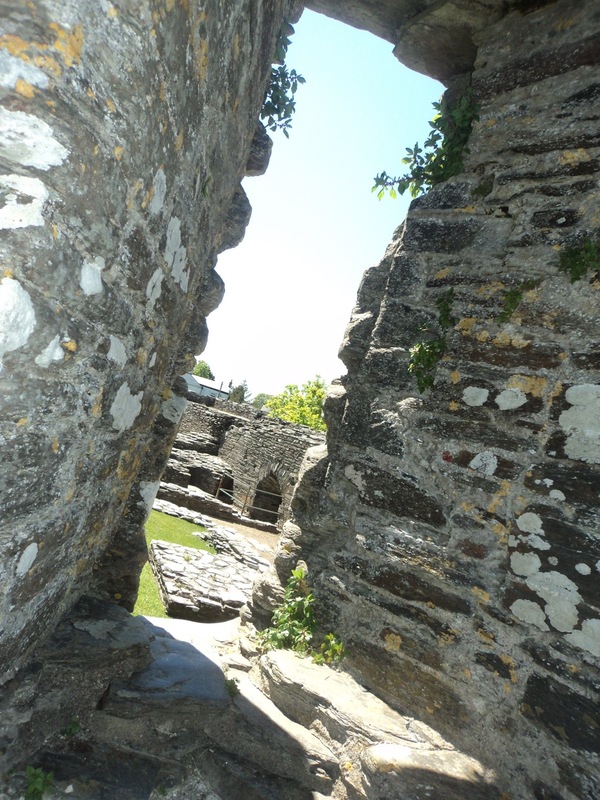 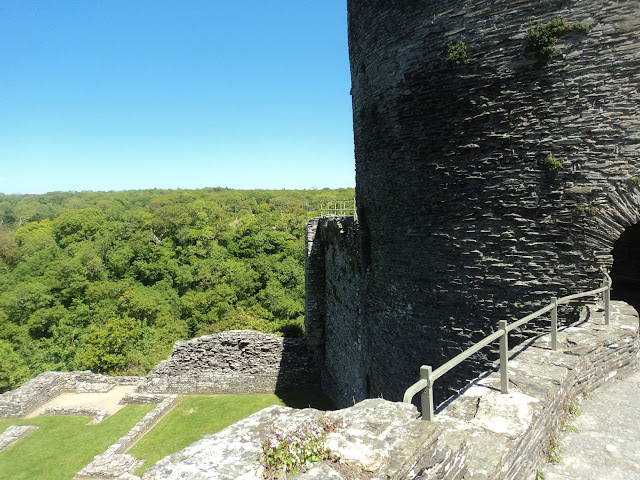 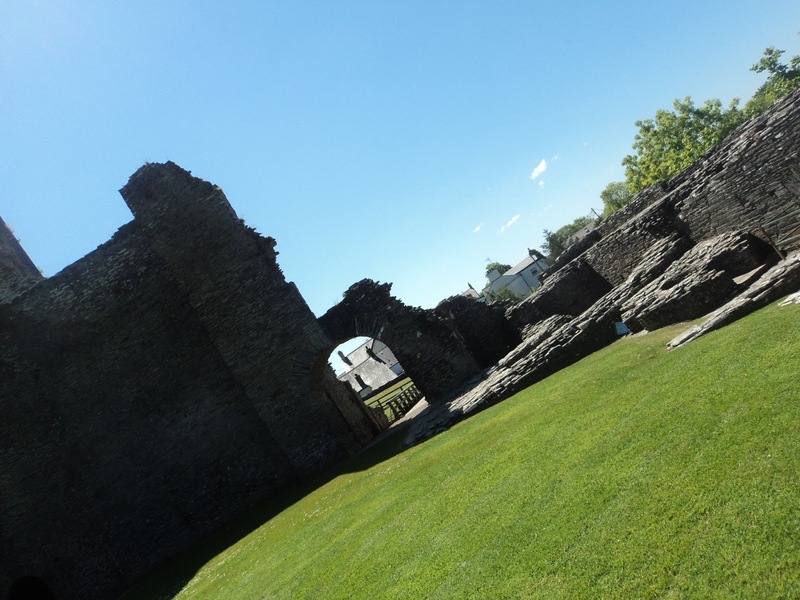 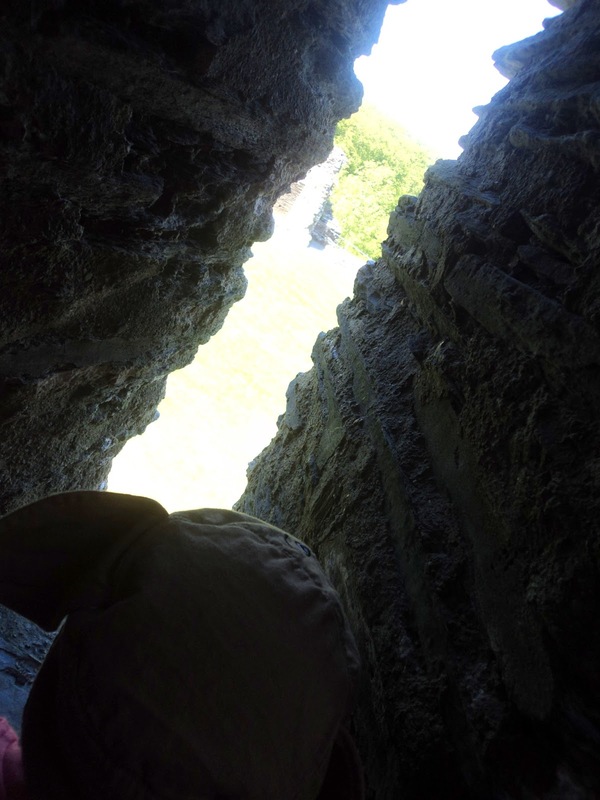 Where Roots And Wings Entwine: Conquering Cilgerran Castle. 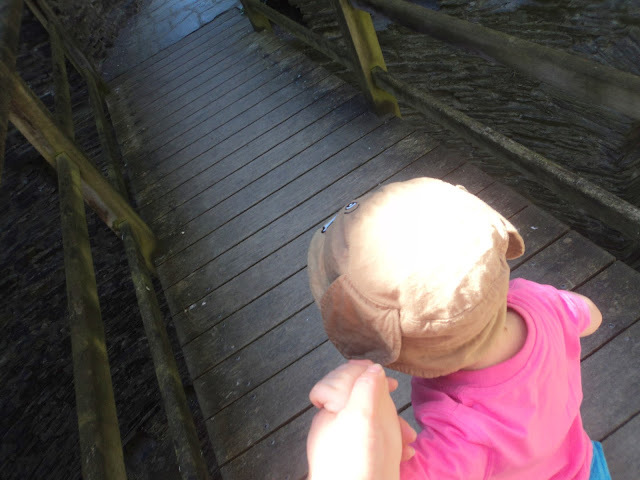 Last week Bug and I headed out for the day for a little adventure. 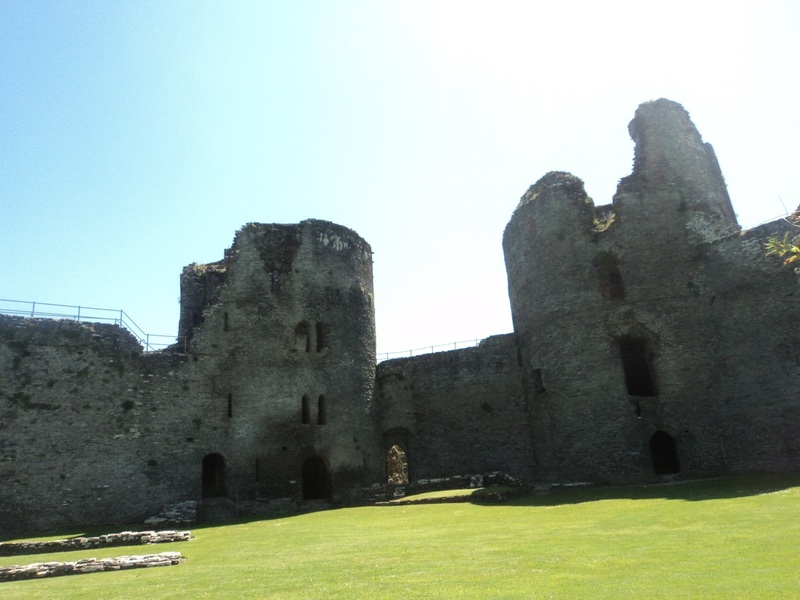 Whilst in the area I decided to pop in to see a National Trust property, Cilgerran Castle which is in the guardianship of Cadw (Welsh Assembly Government’s historic environment service). 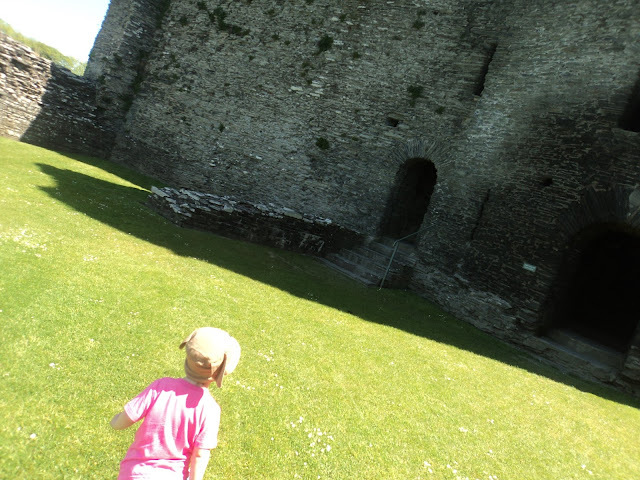 Having not been to Cilgerran Castle for many years since I was a child our little trip there was an adventure for both Bug and I. After realising the castle has no parking we parked up on a side street and walked to the castle. Once we were at the castle grounds I was immediately in awe of the striking 13 th century castle. Bug was more than a little keen to go and explore the ruined castle, striding off with a strong determination to conquer the caste. 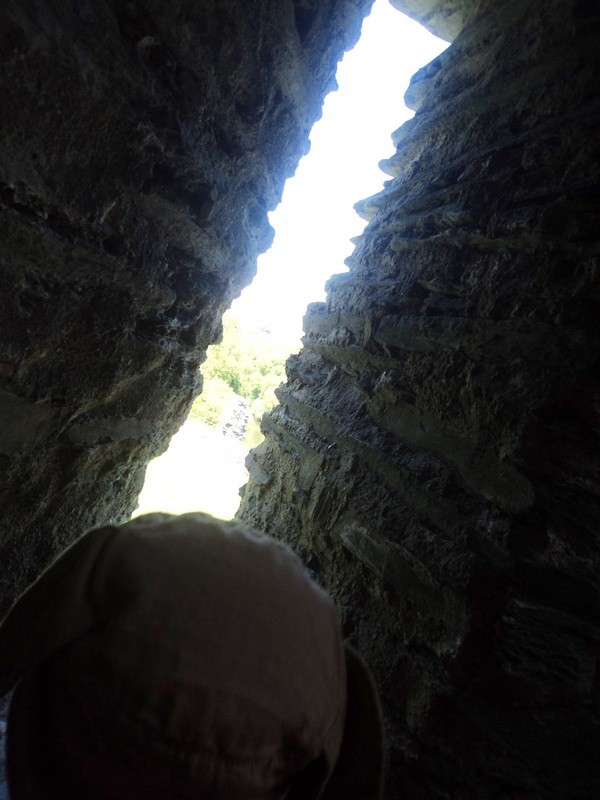 Climbing the winding stone stairs in one of the towers we slowly made our way to the top of the castle, stopping on the way up to peek out of the small openings in the tower at the glorious views. 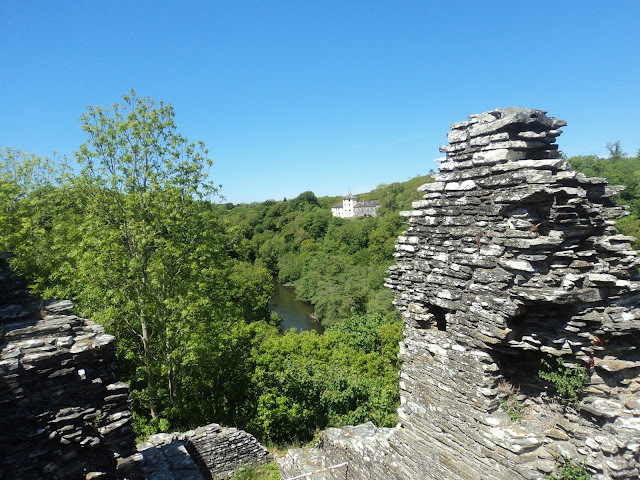 After carefully climbing the winding stairs of the tower we walked up a few more steps out to the top of the castle where we were granted a stunning view of the castle ground and spectacular Teifi Gorge hidden in a mast of greenery. 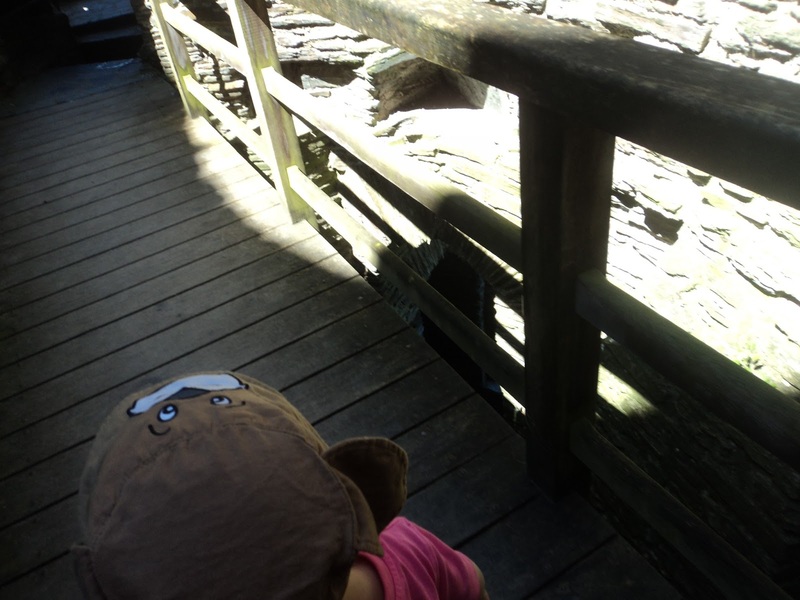 We then crossed a wooden bridge that spanned the tower. 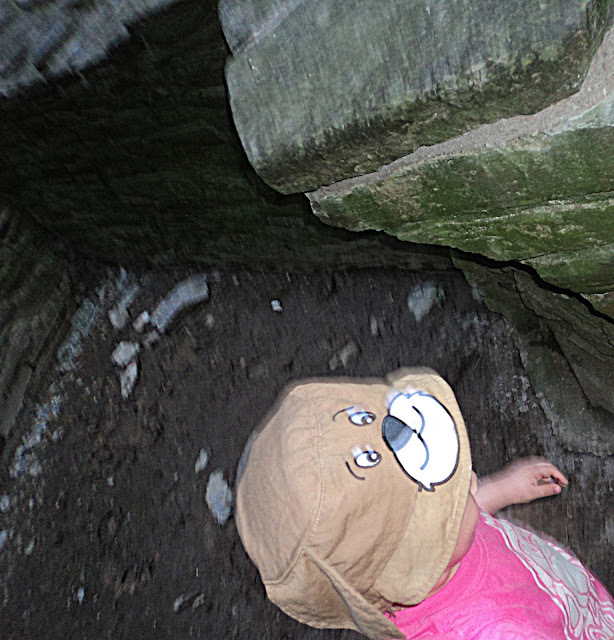 Thankfully Bug gripped on tight to his mummy’s hand, protecting her from worrying about the big drop below and stopping her think about how high we actually were in the tower. 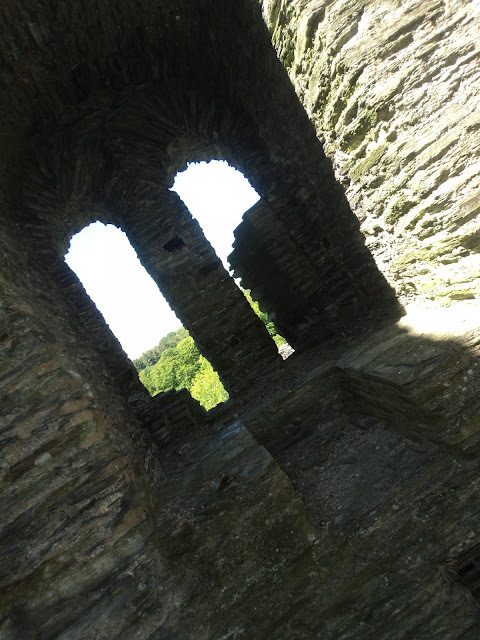 Half way across the wooden bridge through the tower we caught a glimpse of the outside through the two windows inset in the wall. As we exited the tower we set our eyes on a gorgeous view of the woodland surrounding the castle with an idyllic house peeping from in-between the greenery in the far distance. From our vantage point high in the castle on a stone walkway between the towers it was a truly peaceful moment, with the sun shining down on us and a cool breeze fluttering on our faces. 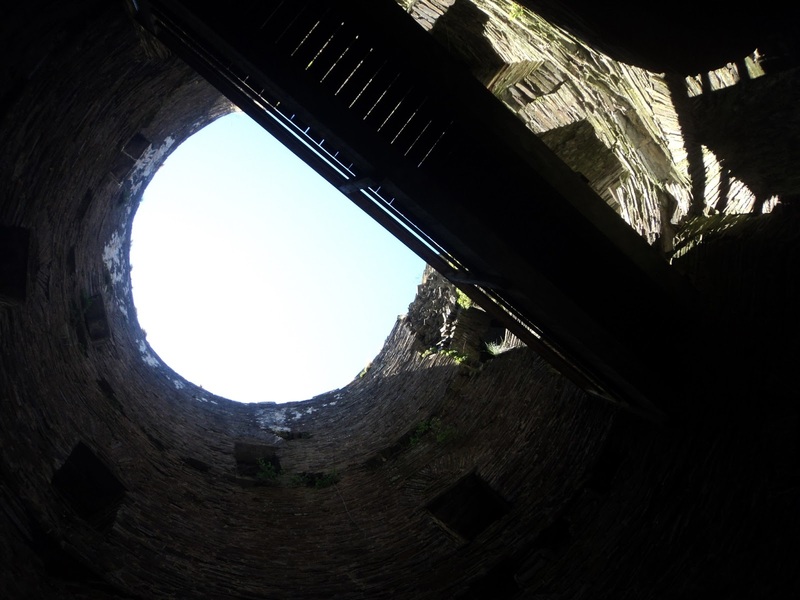 Entering a second tower we had a stunning view of the blue sky above whilst the stone tower that encircled us stood majestically around us having weathered years and years, still standing proudly in spite of years of hardship. Bug loved walking across another wooden bridge through the tower, taking the lead, showing mummy the way through the rustic ruins. 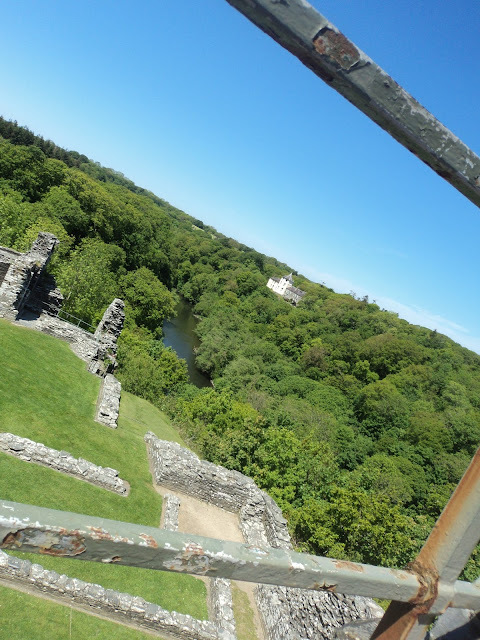 Whilst crossing the bridge there was a small window that showcased views of the greenery surrounding the castle. 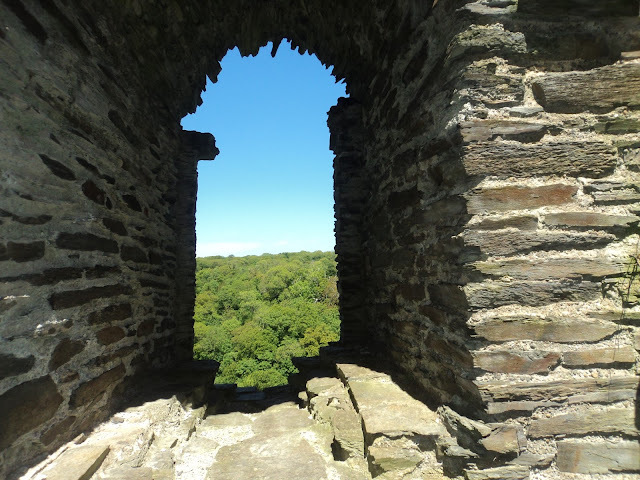 I loved this little window with the rustic edges of the stones achieving a truly unique window to the outside world from inside the secluded-ness of the tower. 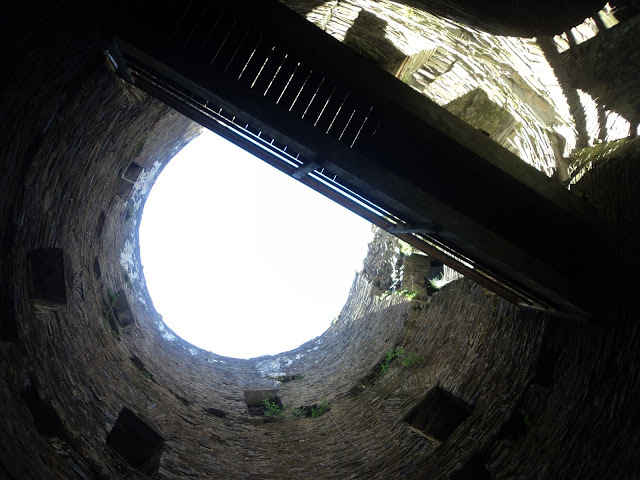 Arriving at the end of the wooden bridge we entered the winding stairwell of the tower. 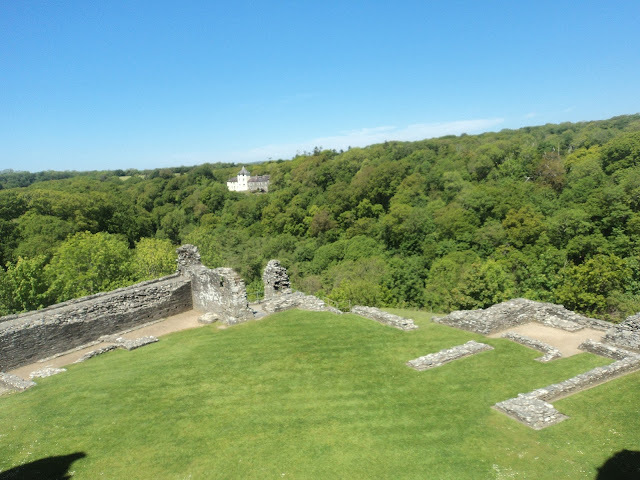 As well as being able to head down the winding stone steps to the castle grounds you could also head out to another vantage point of the castle to survey the castle and its grounds from above. 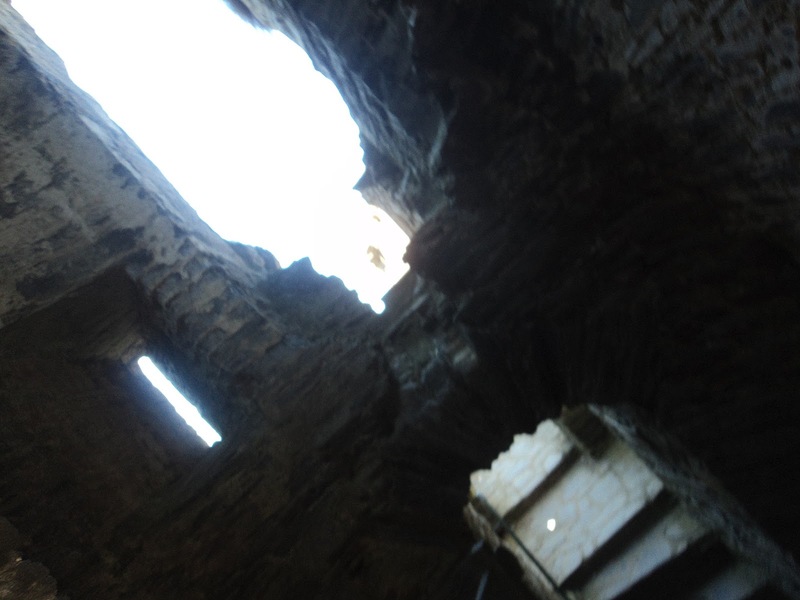 After cautiously walking down the uneven stone staircase we exited the dark tower to bright sunlight. 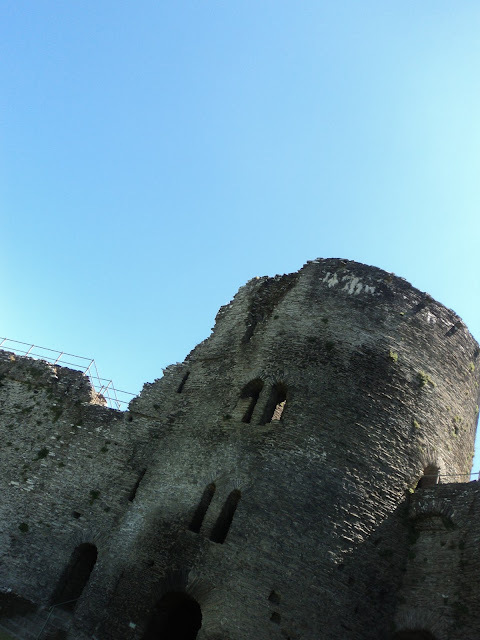 Having investigated the castle from above Bug wanted to take a look at the towers from below where looking up we could see the wooden bridges that we had crossed minutes before. 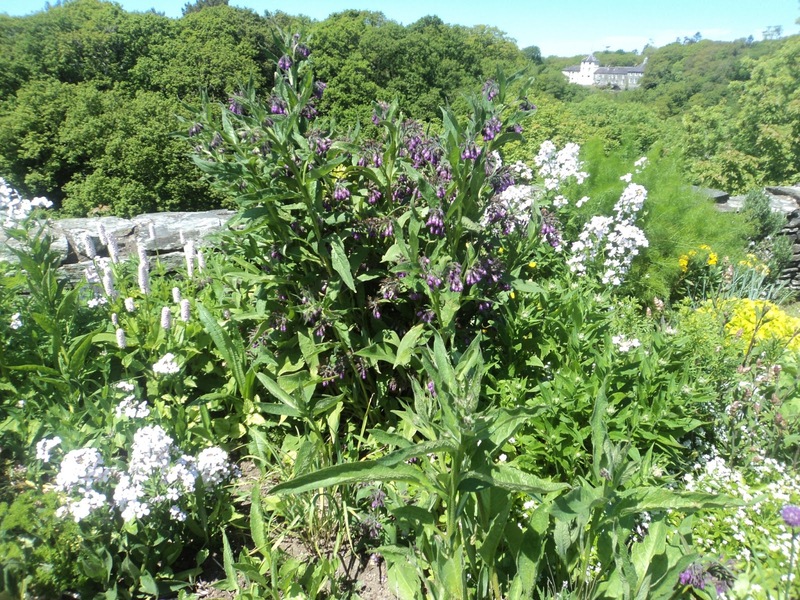 Seeing the bridges from the low vantage point made me realise just how high up we had been when walking across the bridges. 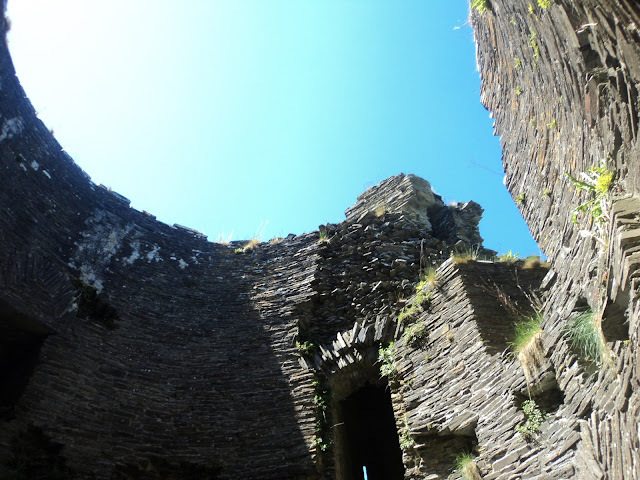 Bug was giddy with excitement as we explored inside the towers from the ground even though he was very keen to go back to the top. 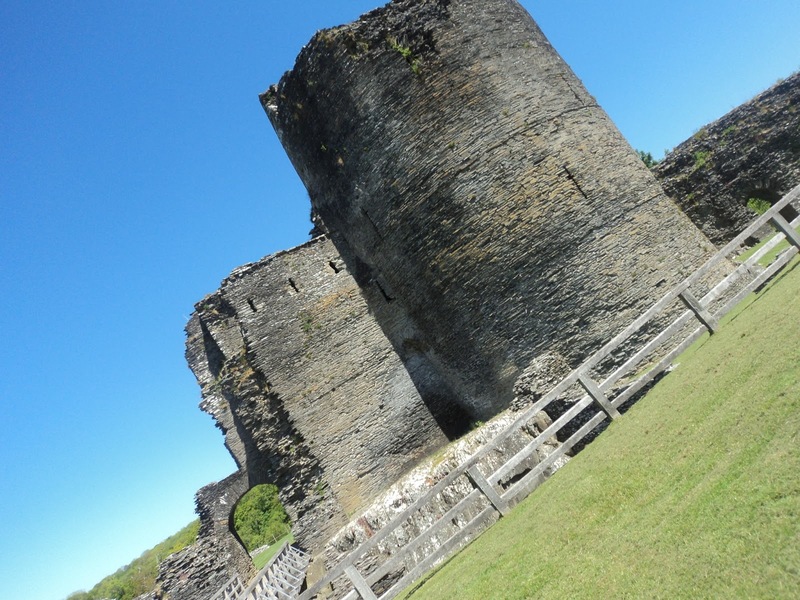 It was amazing to see the castle stand gloriously in stunning surroundings. We also admired a patch of flowers nestled in a stone surround. 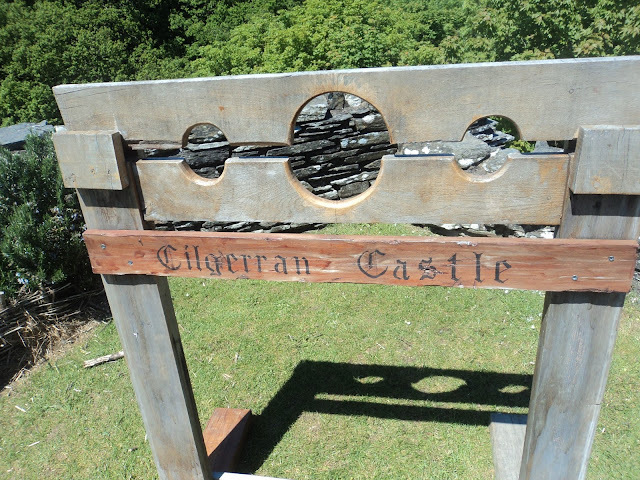 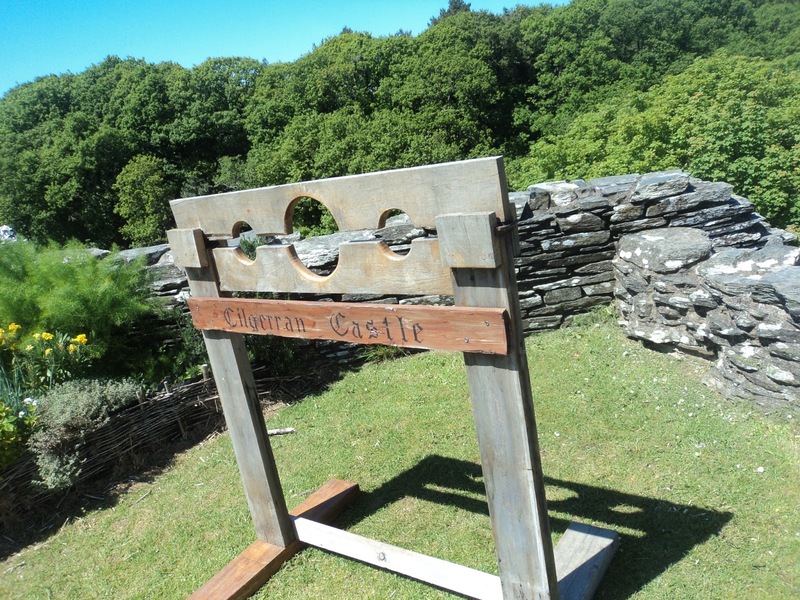 I also loved the wooden stocks inscribed with ‘Cilgerran Castle’. 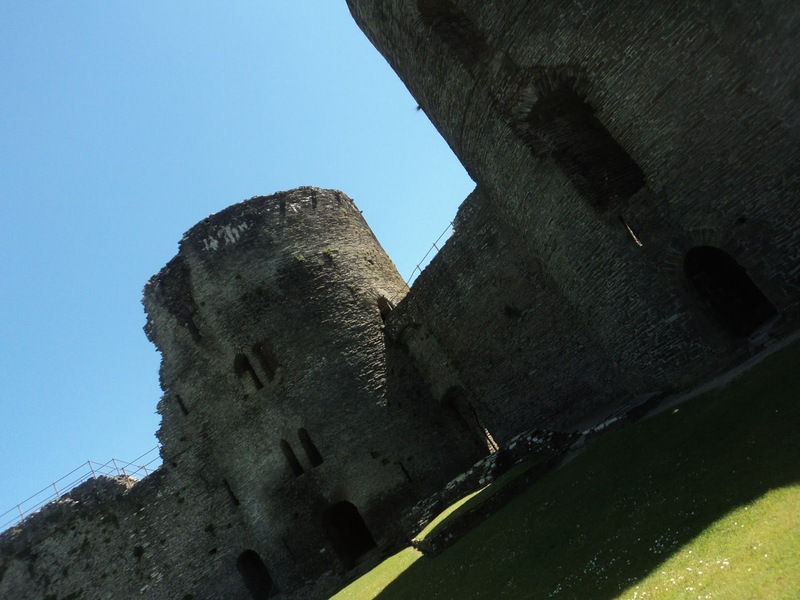 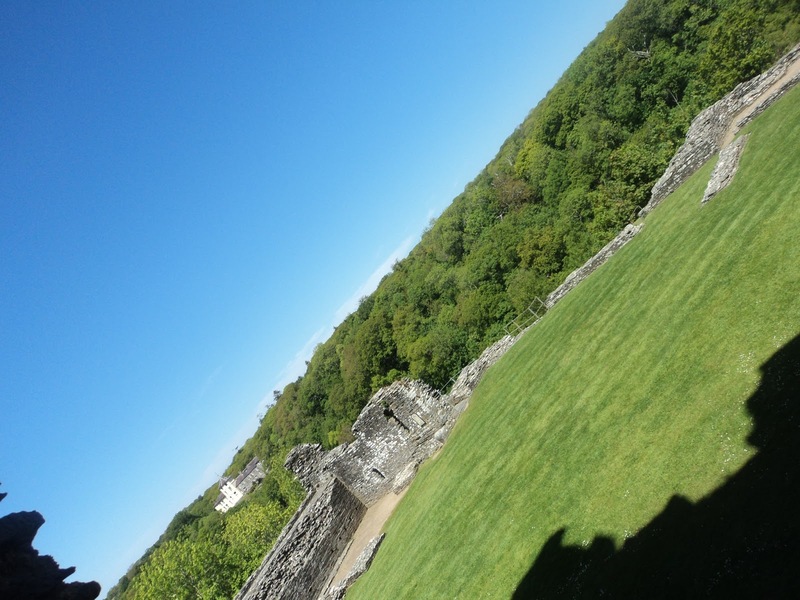 Both Bug and I had a lovely time at Cilgerran Castle and had fun exploring the castle grounds, climbing the towers and strolling across the wooden bridges high up in the towers as we conquered Cilgerran Castle.